Todd Harry Rundgren (born June 22, 1948) is an American multi-instrumentalist, songwriter and record producer. Hailed in the early stage of his career as a new pop star, supported by the certified gold solo double LP Something/Anything? in 1972, his career has produced a diverse range of recordings as solo artist, and during the seventies and eighties with the band Utopia. He has also been prolific as a producer and engineer on the recorded work of other musicians. 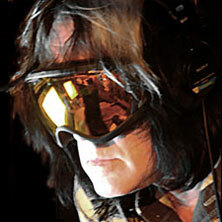 Eventim is the place to look for Todd Rundgren tickets and tour dates. To be the first to hear when more Todd Rundgren tickets go on sale you can sign up to the Eventim Ticket Alarm below.